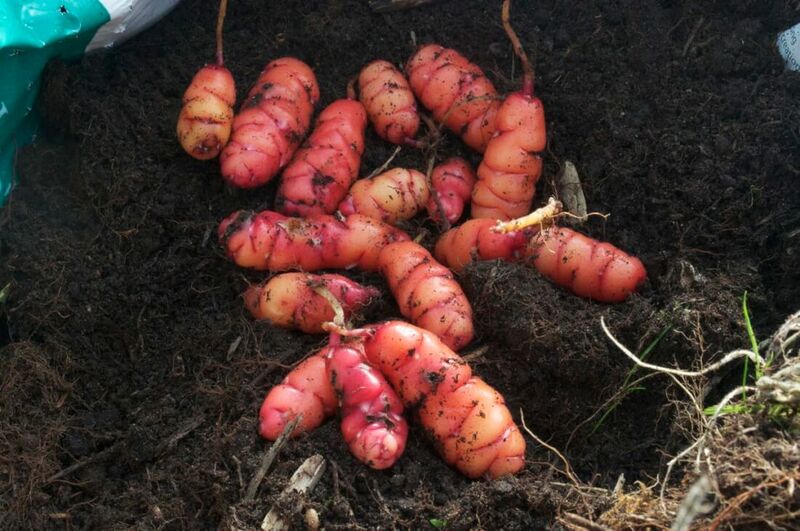 I recently gave some oca tubers to a good friend and wonderful chef – Bernadette O’Shea. As you can read below she was most impressed about this old/new crop and gave me some culinary suggestions. Don’t forget – the potato was once a new crop in Ireland and it came from the same area as the oca. I really think that within a few years you’ll find oca tubers for sale in shops. This year I’m planning to go on a vegetable trip to South America – to discover more of the Lost Crops of the Incas. I have obviously been inspired by Joy Larkcom who travelled throughout Europe and Asia to discover the most amazing crops which we all have available now in Ireland.